To set the stage, in the preceding first three verses of 1 Kings 19, we are told that Ahab has reported to Jezebel all that Elijah did, and specifically that Elijah killed all the pagan prophets with the sword. Jezebel’s response is to send a messenger to Elijah with a death threat that she vows will be fulfilled in one day. Elijah is afraid, flees for his life, and goes to Beersheba. 1 Kings 19:3 reminds us that Beersheba is under Judah’s control, which means that legally, it is beyond Jezebel’s reach. Elijah’s words have been understood in at least two ways: first, that he is referring to his dead ancestors and wishes to join them in death, and second, that he is referring to his “ancestors” in the prophetic vocation, and specifically Moses, who also complained in the wilderness and asked the Lord if he could die. That is, Elijah is no better than his prophetic predecessors, who also had heavy burdens they had to bear on their own. Even if Elijah’s reason is not entirely clear, that latter clause is conditioned by the first. Elijah is overwhelmed, and death is preferable to what he faces, to what he must do, to his tasks. 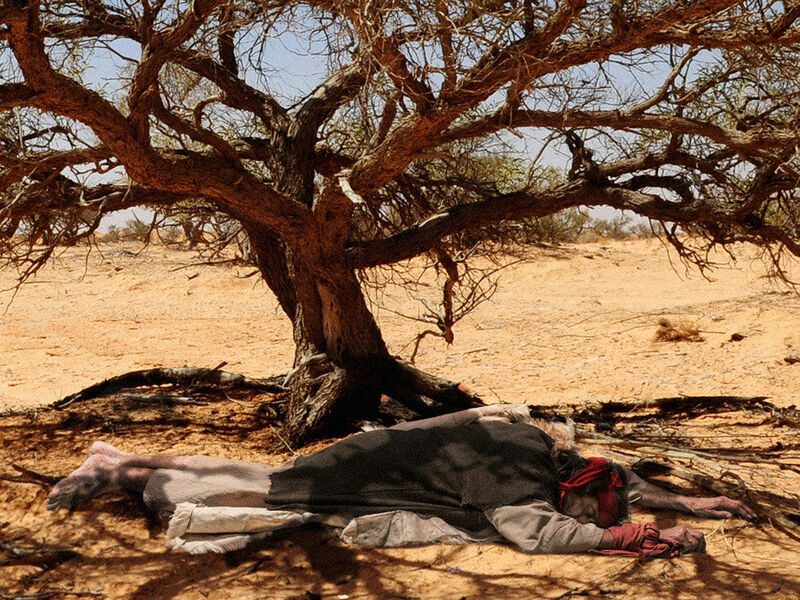 After making his request, Elijah lies down and sleeps under the bush, but his sleep is interrupted by the touch of an angel who commands him to rise and eat. The Hebrew word for angel, mal’ak, is the same word for messenger used in verse 2, when a mal’ak was sent with Jezebel’s death threat. Thus, there is some narrative tension with this first appearance of the angel. It is not until the mal’ak comes to Elijah “a second time” that the text specifies this is an angel of the Lord, and the tension is relieved. After Elijah eats and drinks the first time, he lies down again, and once again, an angel touches him and commands him to rise and eat. During this second encounter, the angel explains the reason why Elijah must eat, “because the way is too much for you.” The Hebrew points us back to Elijah’s complaint in verse 4 that it was “too much” (rab), when the angel uses the same language in his frank assessment of what lies ahead. Elijah has had rab (verse 4), but he is sent on a way that is also rab for him (verse 7). Many interpreters of this text see Elijah as discouraged, suffering burnout from his ministerial (or prophetic) duties, or even exhibiting signs of depression. What Elijah receives are practical, tangible provisions that enable him to go “in the strength of that food forty days and forty nights”. What is given, then, is sufficient and strengthening. Certainly, the bread of Jesus gives us strength for the journeys in our lives, however difficult or overwhelming they may be.